Killala Bay, Kilcummin, Co. Mayo looking pristine with a sharp horizon line is todays offering from the Lawrence Collection. Given the size of Killala Bay this could be looking North, South, East or West and we could still have such an horizon but no doubt the cartographers among you will have the shot properly oriented in jig time? The OSI 25" map has the unusual annotation French landed here in 1798. 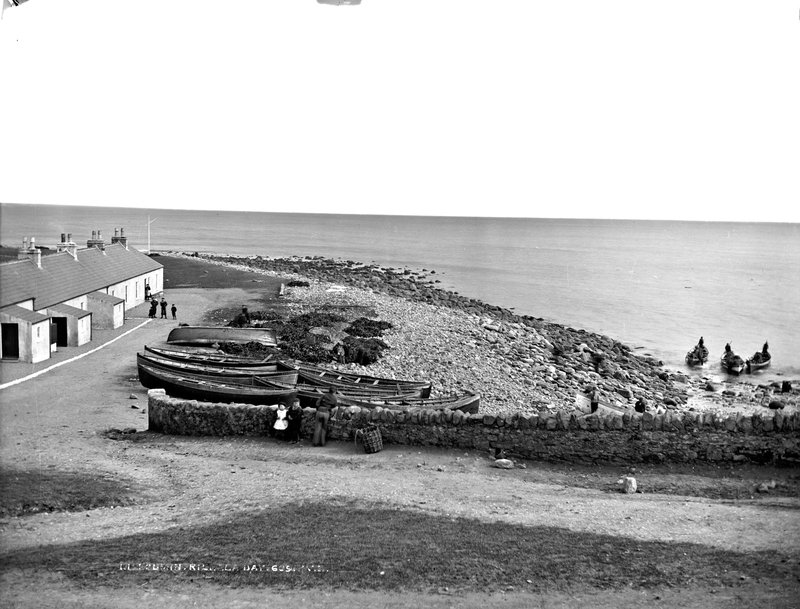 Streetview shows the coastguard cottages are still there, but a lot of work on piers and jetties has happened since todays image. NIAH lets us down today. [https://www.flickr.com/photos/gnmcauley] It's wrong, well. He landed there between ca. 1865-1914. [https://www.flickr.com/photos/gnmcauley] [https://www.flickr.com/photos/[email protected]] The boats seem to have pointy bits (technical term) at both ends? In L_CAB_07295 it is clearer that the seaweed beyond the beached boats is being collected in heaps. I think i see a pitchfork handle. I think the lads in the boats are collecting more (there are baskets of it in the boats and on the shore). Makes more sense than practicing their gondolier act, anyhow. [https://www.flickr.com/photos/gnmcauley] I think I see the name Langan on one of the beached boats, I know Langan is a comminish name in Mayo. The boats are yawls, still to be seen on Achill. [https://www.flickr.com/photos/nlireland] I think it says Langer! In 1901, the census shows 2 Langans and a Lungan in Ballinlena. Only Mary Langan, 48, left in 1911. 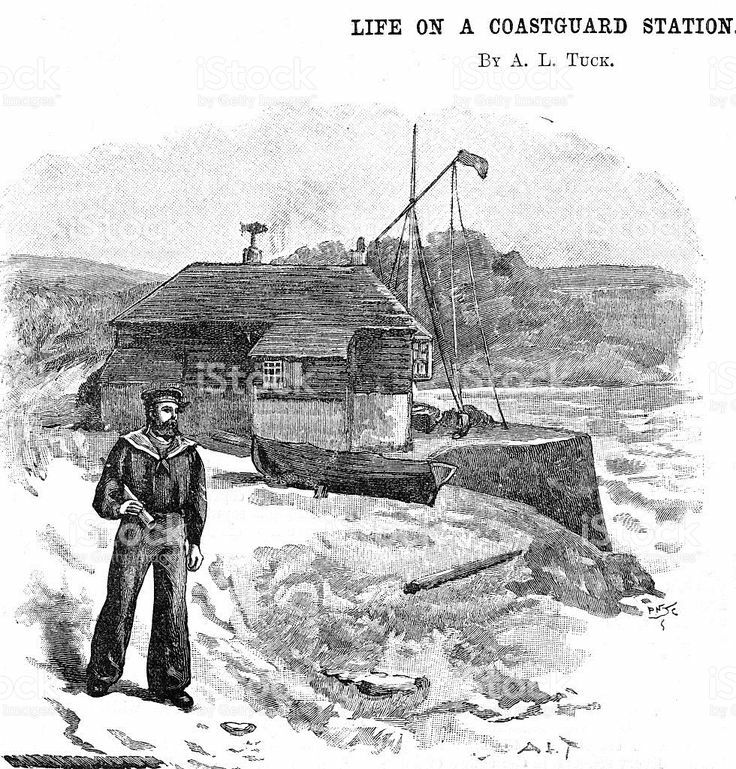 5 Coastguard chaps here in 1901. Would they wear sailor type uniforms? I see two men in uniform with small children in front of the cottages. Edit: Yes, those two are in Coastguard uniforms. One of the boats nearest the wall at right (3rd prow from right) seems to have a long name beginning with M on it. There are are several boatloads of Munnellys in the census, including some possibles for the children by the wall. Coastguardsofyesteryear says the station is from 1820-21. It appears on the 6" map from the 1830s, so that is consistent. [https://www.flickr.com/photos/beachcomberaustralia] You'd expect the pier to be on the 25" in that case. It was surveyed in 1896. Maybe it's mistakenly identifying Rathlackan pier (maps.osi.ie/publicviewer/#V2,518593,838594,11,9) which seems to have been built sometime in the 19th century. I'm told by a Killala man that the camera is looking NE. ... On 22 August, Gonne visited the village of Kilcummin and unveiled a plaque at the pier "in order to commemorate the landing of my countrymen here one hundred years ago," which explicitly associating[sic] her with the French soldiers of 1798. Forty years later a pupil from the area of Kilcummin who wrote an account of the landing based on family tradition mentioned Gonne's visit. By then, her French connections had achieved legendary proportions, and she was described as Humbert's granddaughter. [https://www.flickr.com/photos/gnmcauley] Hmmm, the carvel form of boat building came from Iberia and could hold bigger sailing rigs. The clinker form was more suited to the North Atlantic and used by the Vikings due to it's lighter weight, greater flexibility in big seas and has less displacement. I think Jerry Cowley is a bit confused. Roman reports of Ireland. The oldest surviving records of Ireland and the use by the Irish of boats go back to the fourth century B.C. The Roman Rufus Festus Avienus claimed to have seen the records of an early navigator Himilco, a Phoenician, in a temple in Carthage in the 4th century and wrote of it in verse in his ‘Ora Maritima which was a geographical textbook produced around 425bc. In which he described Ireland (as we now call it) as being heavily populated, and the people as active traders and he says they undertook many voyages in boats sewn together from skins. He claimed they had no knowledge of the building of wooden boats. The Phoenicians in these early ages were trading tin from Spain Cornwall and the Scilly Isles. They regarded Ireland as the sacred Isle inhabited by the Hibernii, a distance of two more days sailing away. Pliny who lived into the early 12ndcentury wrote in his Naturalis Historia about 70AD “Ireland lies beyond Britain, the shortest crossing being from the territory of the Silures (South Wales) a distance of 30 miles.” He quotes the historian Timaeus with saying that “ the Britions cross in boats of osier covered with stitched hides”.